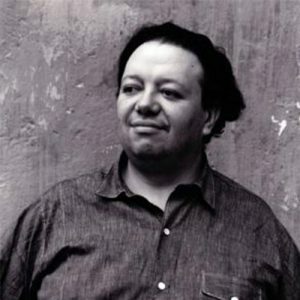 Diego Rivera emerged as Mexico’s most important artist following the revolution of 1910-20. He drew international acclaim as a leader of the Mexican Muralist movement, which helped shape the nation’s self-image in heroically-scaled form. His celebrated murals, executed in both Mexico and the United States, were an extension of his socialist beliefs. They helped bring art to the masses, while their decorative realism made weighty social, political and historical narratives highly accessible. Besides these mammoth public murals, Rivera was also a prolific painter of smaller works, which distilled his interest in Mexico’s national identity, the working classes and indigenous cultures. Rivera was born in Guanajuato in 1886. He was a precociously talented child and by the age of eleven he was studying at the Academia de San Carlos, the oldest art school in Latin America. In 1907 he received a scholarship to study in Europe and he remained there for the majority of the next fourteen years. Rivera spent most of his time abroad in Spain and Paris, where he became a successful member of the avant-garde. In 1913 he began working in a Cubist mode, frequently combining visual references to Mexico with favourite cubist motifs, such as liqueur bottles and musical instruments. He returned to naturalism after a falling out with Picasso in 1917. This transition led him to the antique technique of fresco painting, which he studied in Italy in 1920. The following year Rivera heeded the call to return to Mexico to help express the nation’s post-revolutionary ideals with his newfound skills. His first government-sponsored mural, entitled Creation, was painted in the National Preparatory School, where his future wife, Frida Kahlo, was studying at the time. Rivera married Kahlo in 1929. The famous couple became the centre of intellectual life in Mexico, hosting such luminaries as André Breton and the exiled Leon Trotsky. In 1930 they moved to the US for three years for Rivera to undertake several mural commissions, including one for the Rockefeller Center that was destroyed after the artist refused to remove a portrait of Lenin. While in the US, Rivera was also the subject of the Museum of Modern Art’s second monographic exhibition (the first was Henri Matisse). The portable frescoes he displayed there addressed themes of the Mexican revolution and the plight of American workers during the Great Depression. His work during this period shaped the debate about the social and political value of public art, and directly influenced the development of America’s Works Progress Administration (WPA) program in the 1930s. Rivera’s communist ties and close relationship with Russia caused him as much controversy as his association with the captains of industry. Yet he did not shy from provocation. In 1948 he caused further scandal with his inclusion of the words ‘God does not exist’ in his last great mural, Dream of a Sunday afternoon in the Alameda Central, for Mexico City’s Hotel del Prado. Rivera died of heart failure, aged 70, in his studio and was buried in the Rotunda of Famous Men, Mexico City. His legacy stretches well beyond his own influential art as he founded the Anahuacalli Museum to house his vast collection of indigenous Mexican artefacts and left Frida Kahlo’s home to the state.